If the asparagus are thick, cut them to length, then peel and slice them lengthwise. 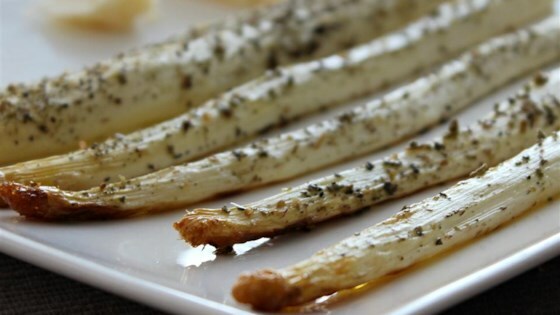 The simplicity makes the natural sweetness of white asparagus more enjoyable. Seasonings can be customized based on what you have at home. With my oven, I put it for 25 min.